Curaleaf announced the agreement during an earnings conference call on Wednesday. 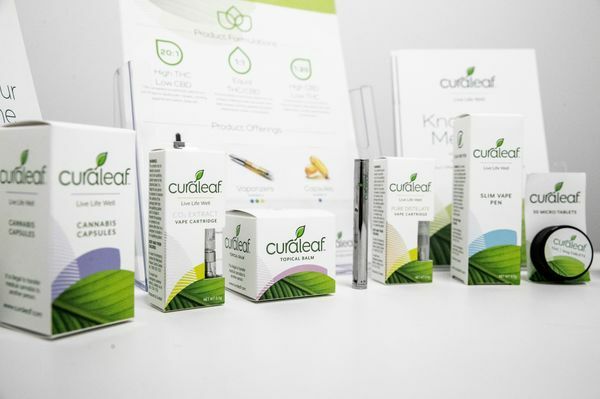 The company’s CBD products will be available in about 800 stores to start, Curaleaf said on the call, and hopes to expand to more. Curaleaf products on display at Curaleaf store in Queens in New York. CVS confirmed that it has started selling CBD creams, sprays and lotions in eight states, including California, Illinois, Colorado and Alabama. The products will be sold in store aisles, and drugstore chain isn’t offering any supplements or food additives containing CBD, a company spokesman said in an email. CVS has almost 10,000 pharmacies worldwide.